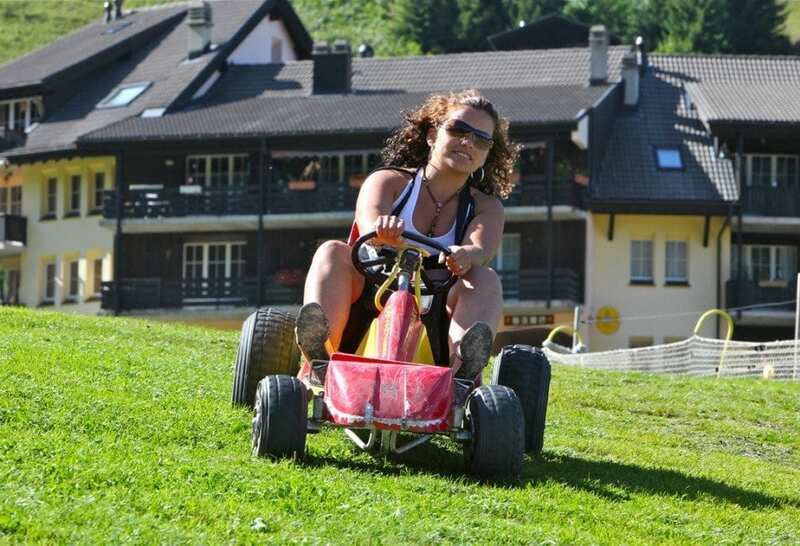 A fun descent of more than 500 m. The village ski lift provides access to the top of the run – no effort required ! 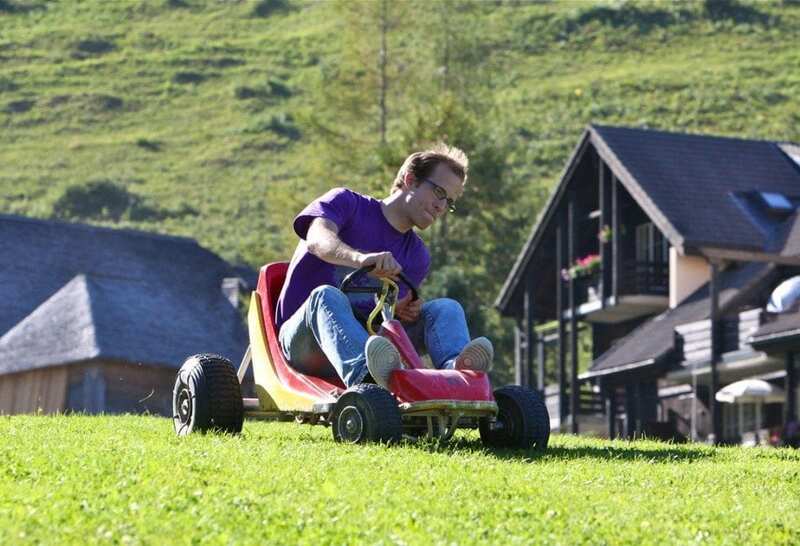 For safety reasons participants must be taller than 1.40 m. Only one person per cart. 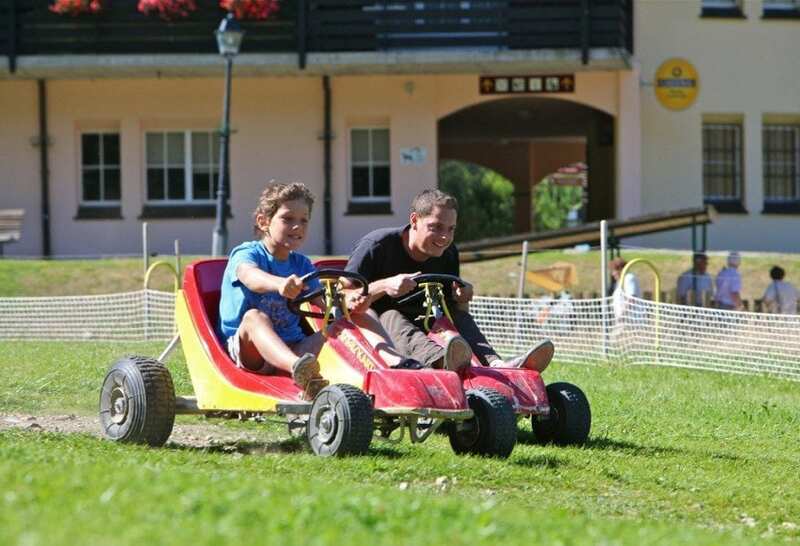 From June 15th till September 16th, 2019, opened every day from 11 am till 6 pm. 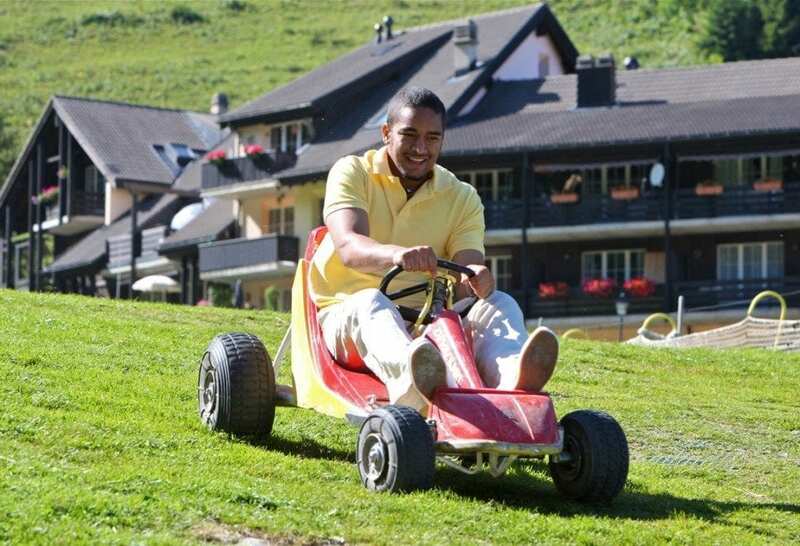 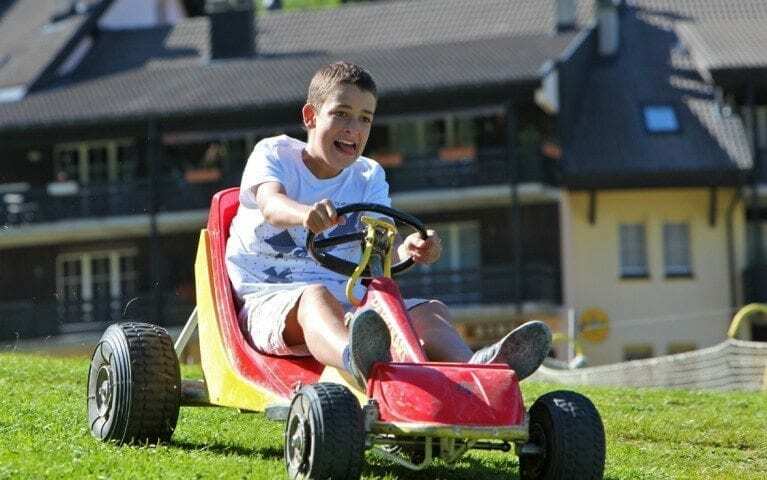 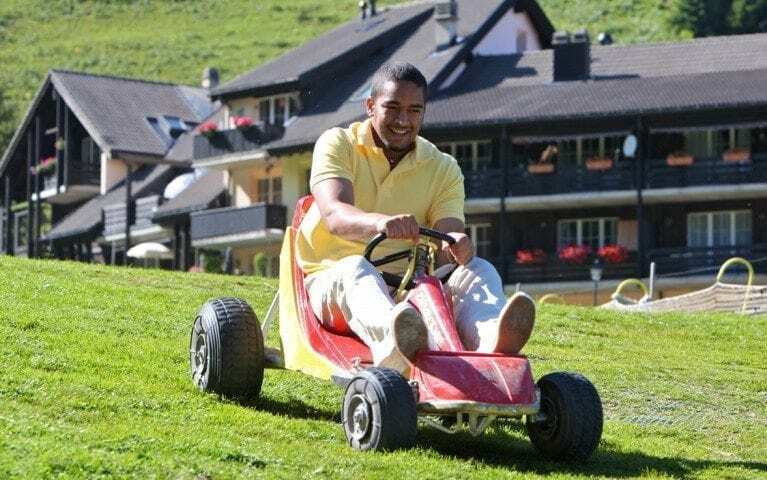 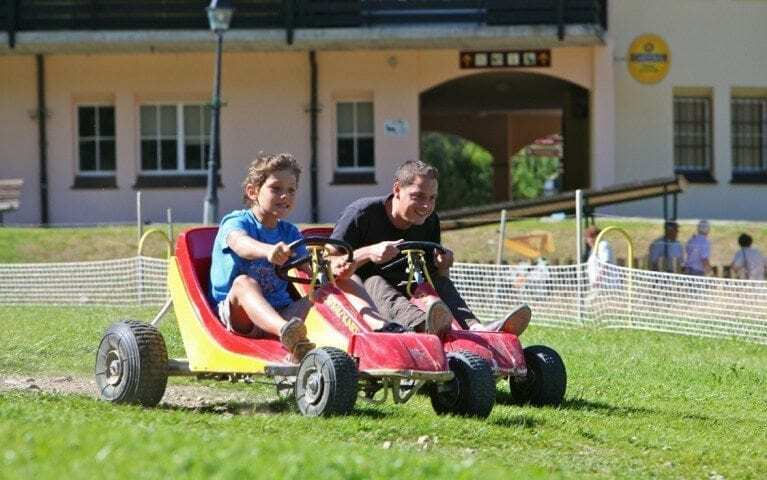 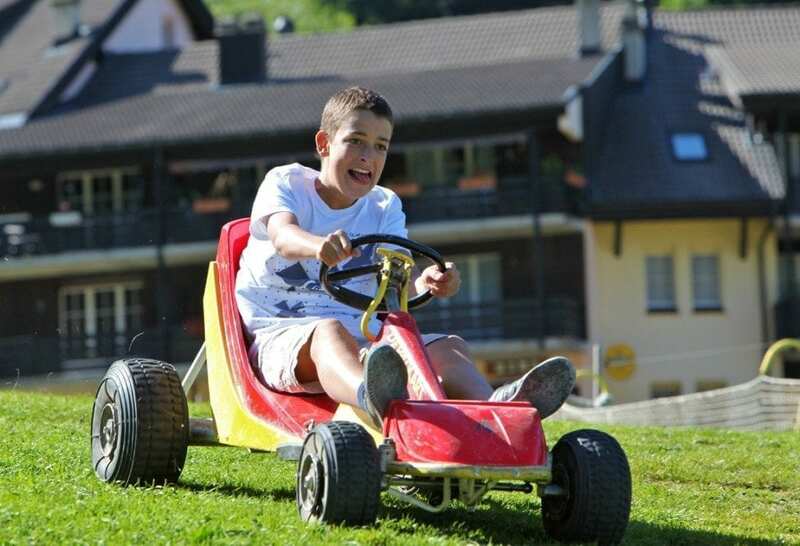 With one « leisure park » token (for sale at the minigolf snack bar) you can choose one of the 3 following activities : bobsleigh, downhill cart or minigolf.